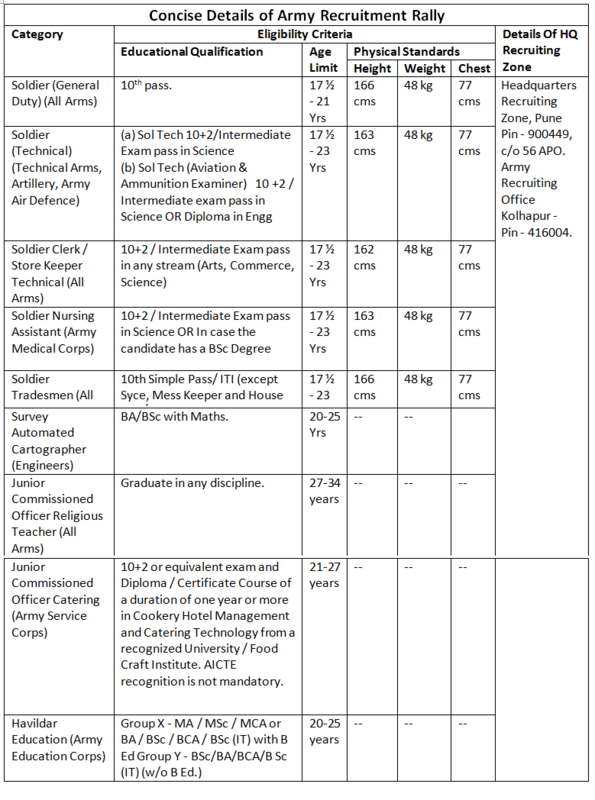 Guidance camp for Army job aspirants will be organized on 21 September. Recruitment drive will begin on 06 February 2017. Kolhapur: Army recruitment guidance camp will be organized at Kolhapur on 21 September 2016. The purpose of the camp is to prepare candidates for the mass recruitment drive which is scheduled to be held from 06 February 2017. Candidates can attend the camp on the above mentioned date at 11 am. The camp will be held at the Boys’ Hostel, Sainik Welfare Board, Kawala Naka. The guidance camp has the sole objective of making aspirants aware of the formalities and selection procedures. The camp will also assess the preparedness of candidates on the field. The camp will be free of cost. 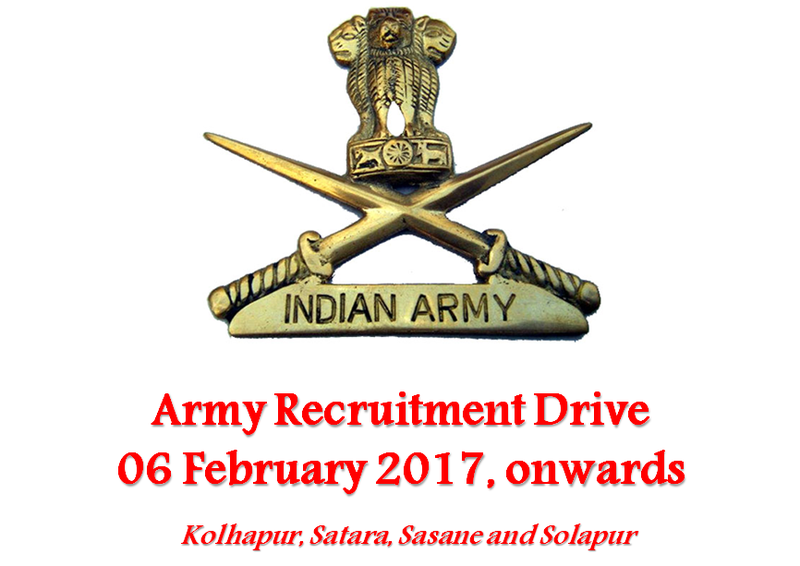 Army recruitment drive is schedule to be held from 06 February 2017 onwards at Kolhapur, Satara, Sasane and Solapur.